Are Del Mar Residences the right expat community for you? Del Mar Condominiums is located in Costa Rica’s premier destination resort community Los Suenos. Del Mar Residences have a Mediterranean architectural design and consists of 84 residences. The condominiums units at Del Mar have two primary floor plans which offer 1,670 to 2,000 square feet of living space. Each three bedroom , two bathroom condo includes a designer kitchen that opens into the adjoining dining area and great room. The units have central air conditioning, ceiling fans and washer & dryer. The condos are finished with wooden accents and Italian ceramic tile. The condominiums are luxurious and comfortable! The condominiums at Del Mar have covered terraces and balconies that offer panoramic views of the golf course fairway, marina and Herradura Bay. The terraces and balconies are perfect for dining entertainment and to enjoy the sunsets. Del Mar has a private gated entry and covered parking. The residents at Del Mar can enjoy the use of three free-form swimming pools, Jacuzzis, picnic grounds, barbecue area and charming walking paths that go through lushly landscaped gardens. The Los Suenos Resort is a beautifully landscaped resort and is located in Herradura. At the Los Suenos Resort you find the Marriott hotel where is a casino, spa, tennis courts and the 18 hole championship golf course. The Marina Village is home to several shops, bank, spa and restaurants that overlook the Marina. At the Marina you see many fishing boats and charter companies offer half-day and full-day fishing trips. There is also a medical clinic located at the resorts entrance and as a resident of Del Mar you have access to the beach club. Due to the location of Del Mar Condominiums near the resort’s entrance you have quick access to local attractions such as the beach at Herradura Bay. 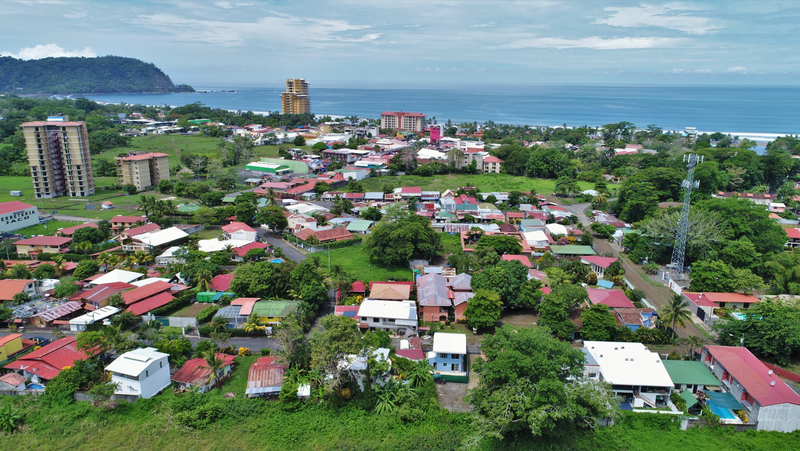 The Del Mar community is the perfect place for a lazy day hangout or as the starting point to explore Costa Rica with all its wonderful nature and activities.